Yoshimura Mikuni TMR-MJN40 carburetor funnel specification DR-Z400S (04-08) DR-Z400SM (05-08) 778-126-2011 by Yoshimura Japan at Lazaranda Dallas. MPN: 778-126-2011. Hurry! Limited time offer. Offer valid only while supplies last. 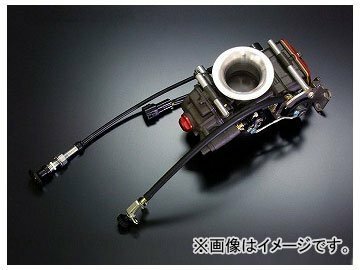 Commodity introduction TMR-MJN / FCR-MJN carburetor is Yoshimura products incorporating its own MJN (multiple jet nozzle) to each of the carburetor.